Dr. Larson was born in Durango, Colorado and grew up in Torrance, California. He served 2 1/2 years as a missionary in Japan and remains fluent in Japanese. Dr. Larson's undergraduate studies were completed at Brigham Young University and Church College of Hawaii. He received his doctorate from the Southern California College of Optometry in 1979. Dr Larson had a private practice in Colorado from 1979 to 1983. He then served in the Navy from 1983 to 1991. He was a staff Optometrist at the Naval Regional Medical Center in Charleston, South Carolina and was head Optometrist at the Naval Branch at Twenty-nine Palms, California and Department Chief of Optometry at the Okinawa Naval Hospital in Japan. In 1991 he left the Navy and continued his work for a year with Kaiser Permanente in Santa Rosa, California. From 1991 to 1999 he worked in a large Ophthalmology practice in Bakersfield, California. Here he worked closely with the Ophthalmologist in post-op of cataracts and for laser surgery. In August 1999 Dr. Larson bought the Folsom Optometry Center and he moved his family to Folsom. Dr. Larson and his wife, Diane have 5 Children and 10 grandchildren. Dr. Larson is an avid sports enthusiast , especially golf. Dr. Larson is active with community , and in the profession. 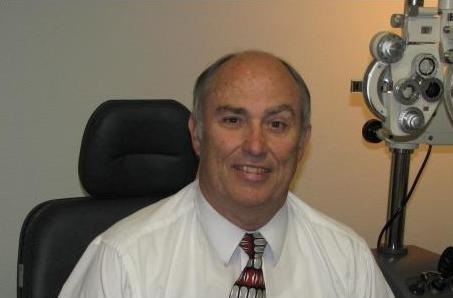 He has served as secretary / treasure of the Sacramento Valley Optometry Society. He is on the Board of Director of the Ridgeview Home Owners Association . He is on the Board of Director of Vision One Credit Union , and he is active in his church. Dr. Tomita received her Bachelor of Science degree in Biochemistry from the University of California, Riverside. She then went on and received a second Bachelor of Science degree in Visual Science from the University of California, Berkeley, and also received her Doctor of Optometry degree from U.C. Berkeley. Dr. Tomita has been practicing optometry in the Sacramento area since 1993, and has had experience working with small children up to the elderly, working closely with ophthalmologists in the pre-operative and post-operative care of patients undergoing cataract surgery and laser vision correction. Dr. Tomita has been working for Folsom Optometry Center since 1996 and has enjoyed seeing the changes and growth in the Folsom area as well as seeing patients return from year to year. Dr. Tomita and her husband have 3 small children and she enjoys her dual role as a mom and a professional. In the little spare time that she has she enjoys scrapbooking, reading books, fishing and biking.